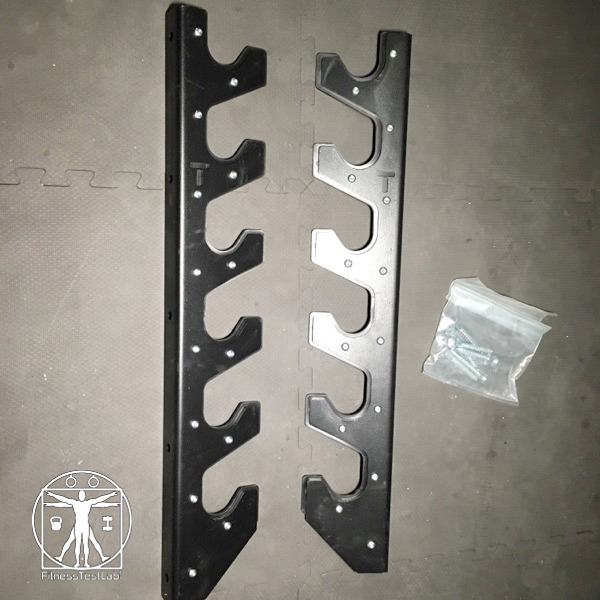 I was in the market recently for a UHMW-lined barbell rack. 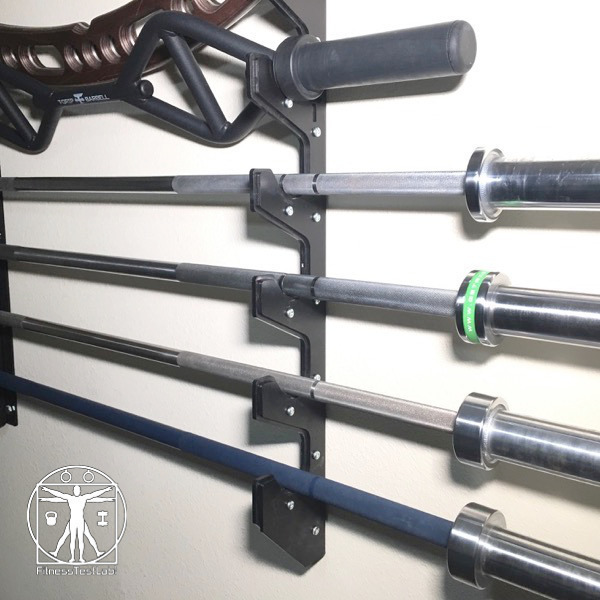 The Six Barbell Gun Rack from Titan Fitness turned out to be a great purchase and I’m very happy with the end result. 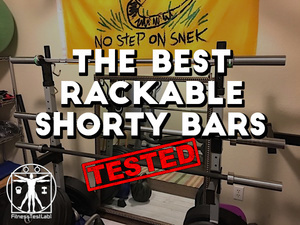 It looks great, works great, and the price is the best I could find for a UHMW-lined barbell rack. 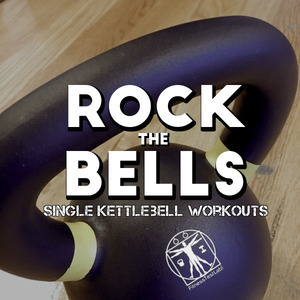 Almost every major company offers their own version of a barbell rack. Not all include the UHMW lining, but I consider the lining a must to protect the finish on my barbells. 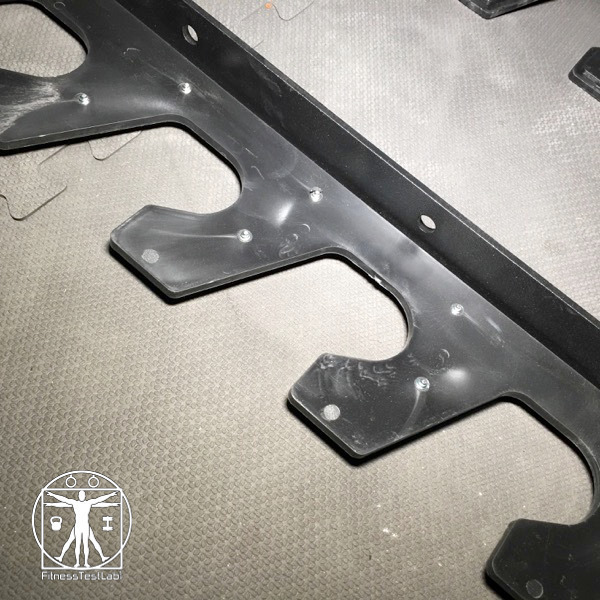 For reference, ‘UHMW’ stands for Ultra-high-molecular-weight polyethylene, an extremely tough plastic with high abrasion and wear resistance. 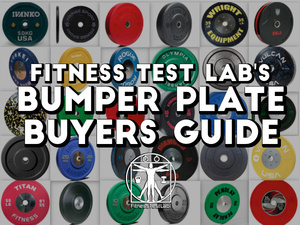 I have to admit I suffered a bit of sticker shock when I started pricing UHMW-lined barbell racks. 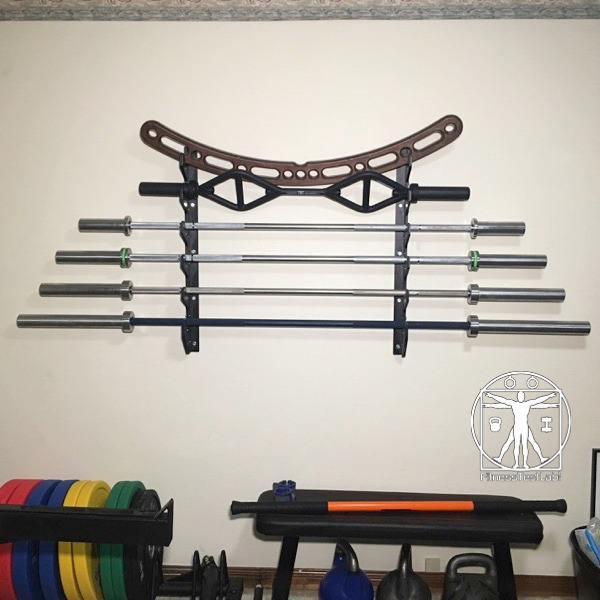 Titan Fitness had the best price by far, so I pulled the trigger the Six Barbell Gun Rack and recently mounted it in the Lab. I’m very pleased with the quality and construction. The only gripe I have with the Titan Fitness Barbell Gun Rack is the mismatched number of lag screws it came with. I only received six but there are five holes in each arm for a total of ten. 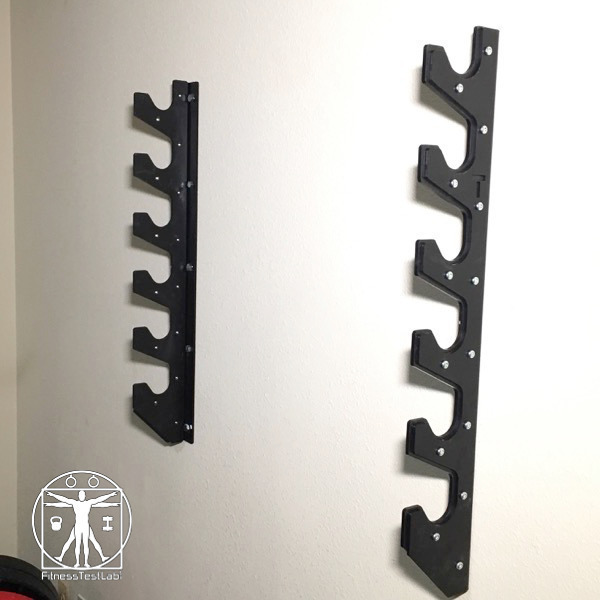 The other four might not be totally necessary but I filled them anyway with a few extra lag screws I had left over from my gymnastic ring mounting project. There’s not much more to say about this rack. 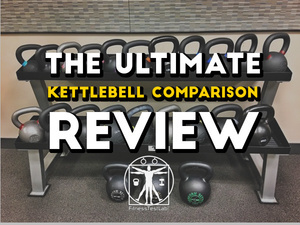 It does the job and the price is good, so I’m just going to let the pictures speak for themselves. 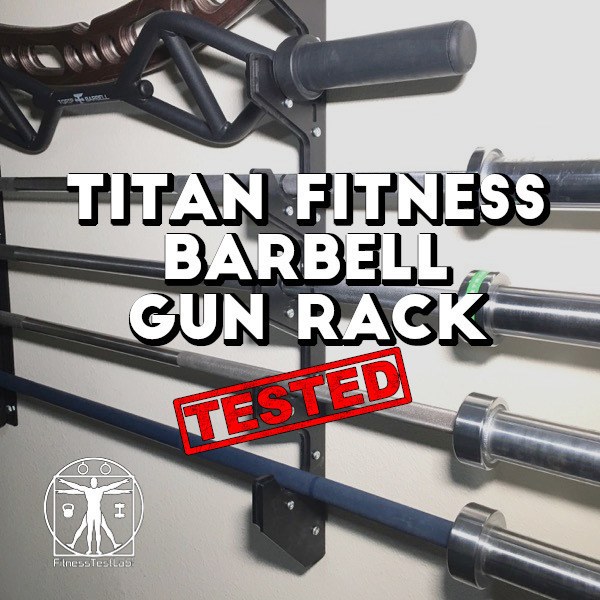 Like I said above, the Titan Fitness Barbell Gun Rack is a great product for the price. 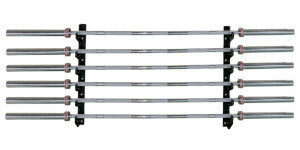 Fully lined with UHMW to protect the finish on your barbells, well made, and affordably priced. 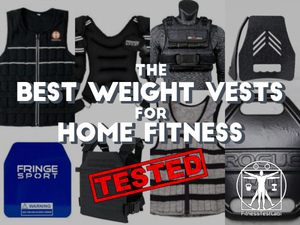 Considering how much a UHMW-lined barbell rack costs from other companies like Rogue Fitness, this purchase is almost a no-brainer. 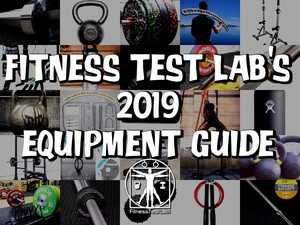 Got any questions about the Titan Fitness Barbell Gun Rack? Ask me in the comments below and I’ll do my best to answer.